Meaningful technology integration deepens and enriches learning. Today’s post exemplifies this transformation, showing how this year’s fifth and sixth grade iPad roll out has enabled students to learn in active and inquiry-driven ways. As you read, notice that iPads are not used as expensive worksheets, but as creation tools. Students in Stephanie Alig’s and MaryLynn Moore’s social studies classes at Riverside Intermediate learned about the Roman Empire this month through through a creative and interactive project. The students gathered in small groups to research an aspect of ancient Rome: clothing, government, war, games, architecture, religion, tools/weapons, or the fall of Rome. 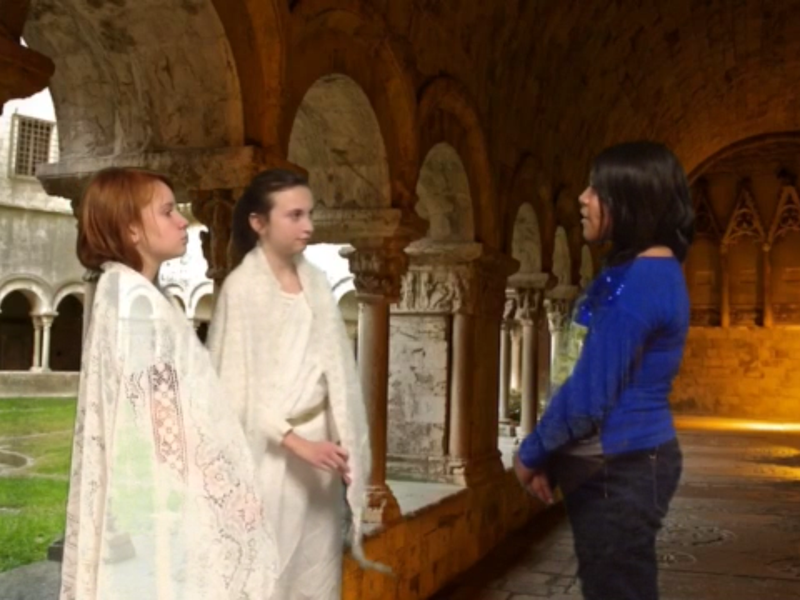 The groups then wrote news skits, dressed in costume and acted out their interviews/skits. 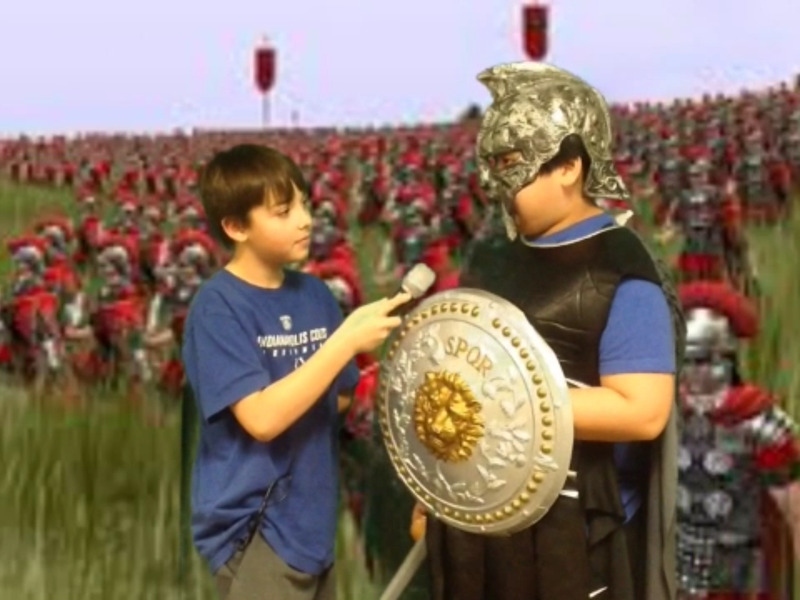 Skits were recorded using the camera on an iPad, and an app called Green Screen enabled the students to insert authentic Roman backgrounds into their new casts. Then skits were dropped into iMovie where each television news cast came together. 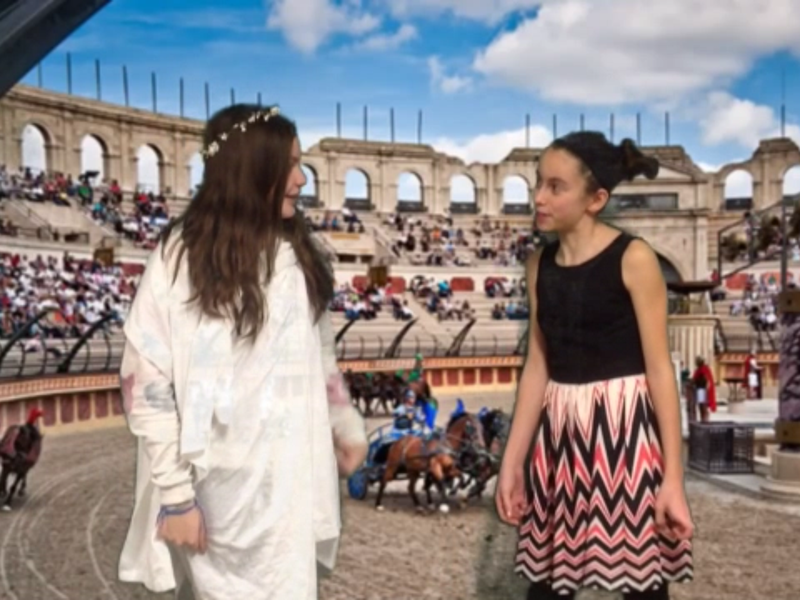 Through this active learning process, historical Rome became real for the students, and understanding deepened. As a bonus, conversation was fostered at home, since it was easy for students to share their newscasts with their families.